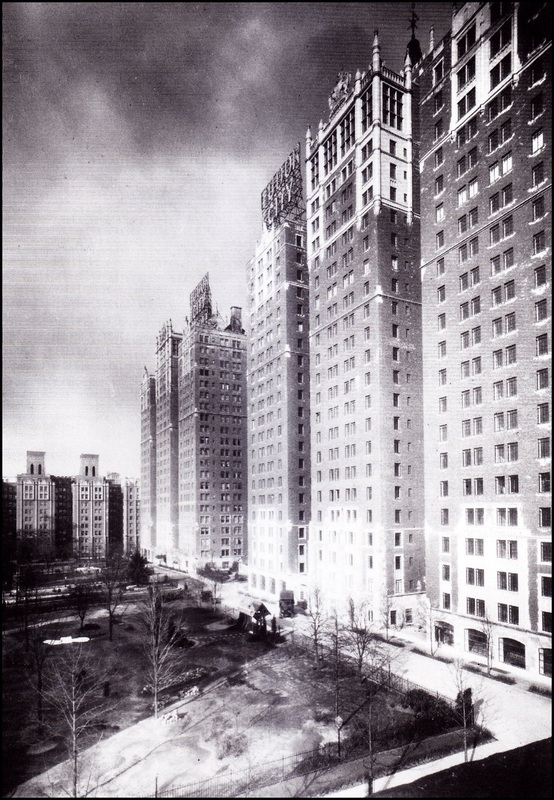 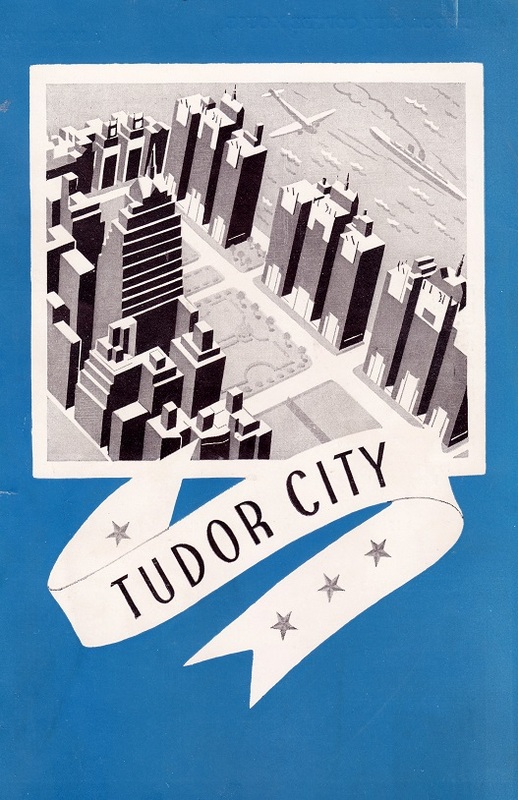 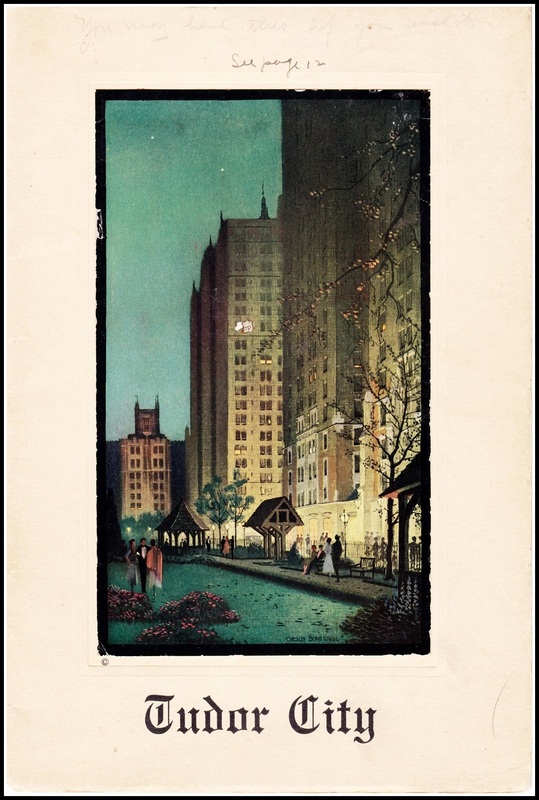 The arrival of Tudor City coincided with the birth of modern advertising. 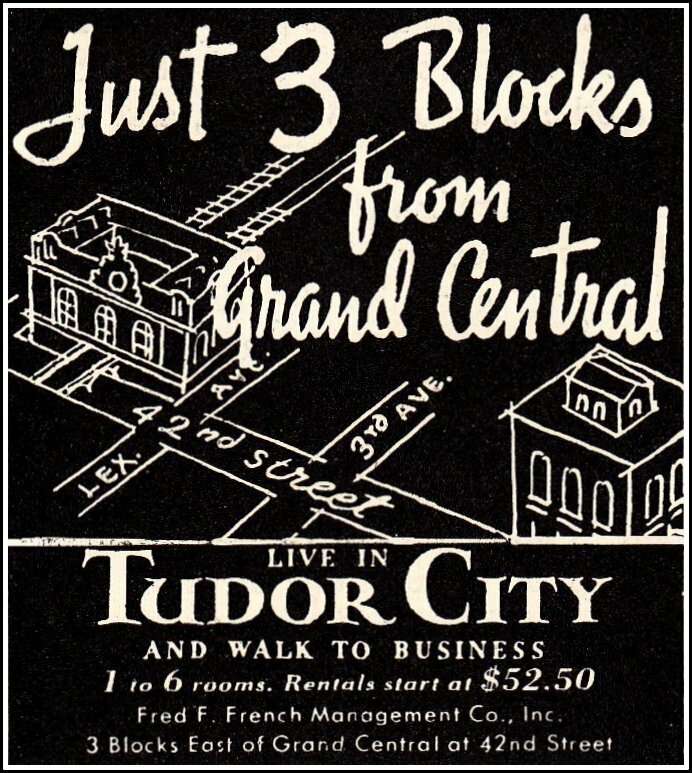 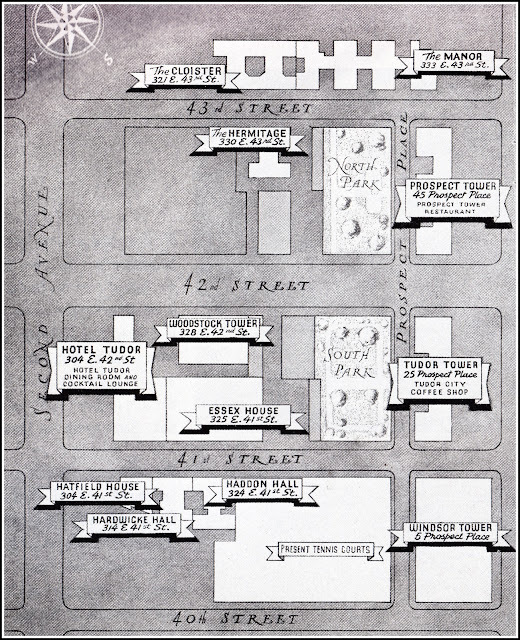 Hundreds of ads for the complex appeared in newspapers and magazines over the years, and the tagline LIVE IN TUDOR CITY AND WALK TO BUSINESS (coined in 1927 by some enterprising copywriter) was used well into the 1940s. 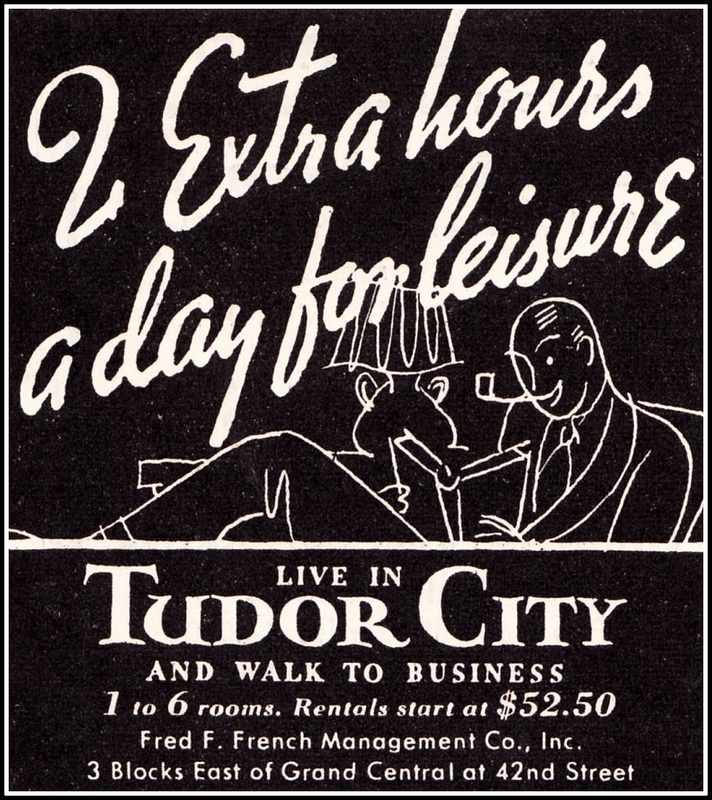 Below, an ad campaign profiling the kind of tenants Fred French hoped to attract. 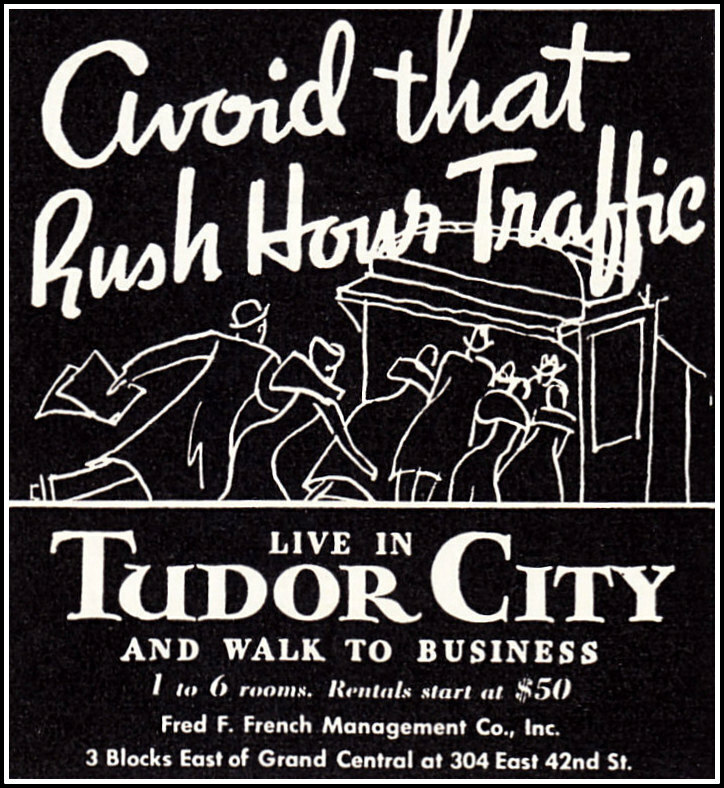 These newspaper ads ran in April-May 1930. 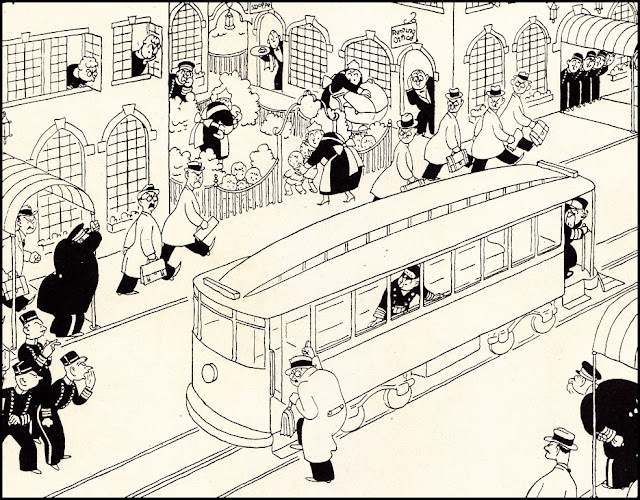 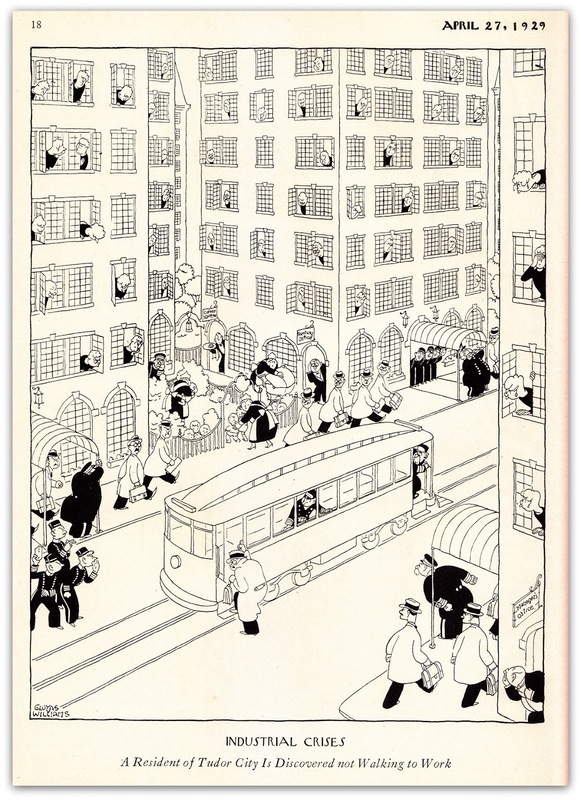 A detail of the cartoon, showing neighbors aghast at someone not walking to business. The streetcar line on Prospect Place is strictly artistic license.